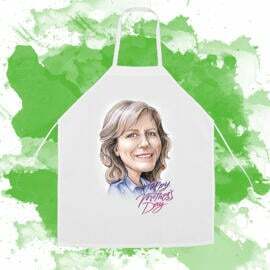 Order a funny caricature drawing of your mother who will be drawn in a beautiful Mother's Day design. 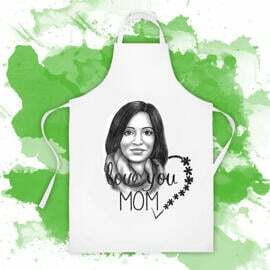 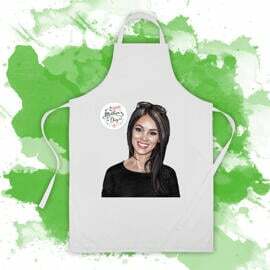 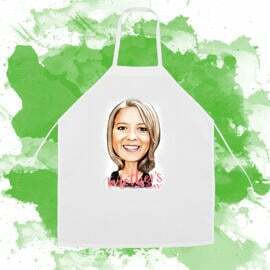 Her cartoon will be printed on a white kitchen apron, which will make one of the best personalized gift ideas and surprize to her. 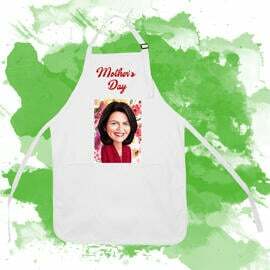 Photo aprons are made in one size and suited for any kind of cooking. 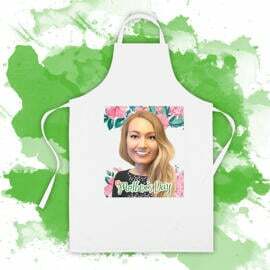 You will get a digital JPEG File on email for approval before printing on apron. 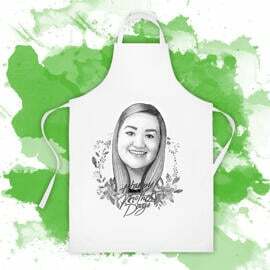 Aprons can be shipped to any location worldwide.